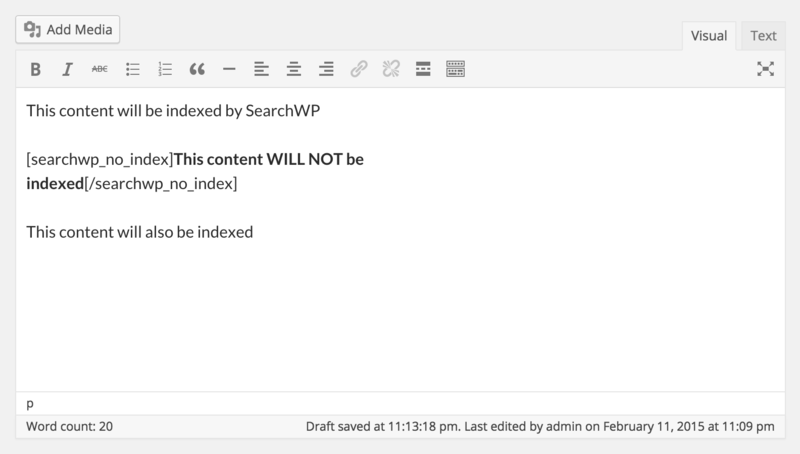 You may have some posts that have some content in the main editor you would like to have SearchWP index, but other content within that same post you do not want indexed. You can take advantage of SearchWP’s ability to process Shortcodes using the searchwp_do_shortcode hook to make that happen! Note: make sure this hook is in place before adding your Shortcodes, when you add the Shortcodes to the content and click Update the post will be automatically purged and reindexed by SearchWP.